Math Dictionary-G deals with words starting with letter 'G'. We may consider the following words which start with the letter “g”. GCF ( Greatest common factor), Geometry, Geometric mean, Geometric progression, Geometric sequence, Glide reflection, Golden ratio. In the above listed words, we are already familiar with the words mean, progression, sequence, reflection, and ratio. For all these words, geometric is being as adjective. We already know meaning for the words mean, progression, sequence, reflection, and ratio, when they come alone without the adjective “Geometric”. But, when we have this adjective “ Geometric”, its meaning would be little bit different and those words give extra details. The greatest common factor is the largest of all common factors. Geometry is a branch of mathematics dealing with line, angles, shapes and their properties. It discuss with physical shapes and dimensions of the body. Geometry is divided into Plane geometry and solid geometry. To know more about geometry please click here. Is a type of mean that indicates the central tendency or value of numbers. 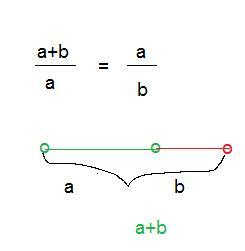 Geometric mean of two numbers, a and b is the square root of product of those two numbers. It is a sequence of numbers such that the quotient of any two successive numbers in the sequence is a constant which is called as common ration. A sequence in which each consecutive terms differ by a constant ratio. In geometry Glide reflection is a type of isometry of the Euclidean plane. It is a combination of reflection and translation. In math, two numbers are said to be in golden ratio, if the ratio of sum of two numbers to the greater number is equal to the ratio of the greater number to the smaller number. The values of a data can be represented by diagrams. It is usally drawn as lines or bars. We will update this page math dictionary-g regularly. We are welcoming your valuable suggestions. Please use the box given below to convey your suggestion.